Mike wrote the text of “On The Luck Of An Irish Sailor” when he was 15 years old, but it wasn’t until 50 years later that Mike was encouraged to develop the story into a children’s book and record the song. In his early career Mike performed with The Tradesmen and other San Francisco Bay Area folk groups and arranged compositions. In the mid-70's, he joined "The California Wind Children" (CWC), a choral group of young singers, co-wrote original music for them. While on national tour with the CWC, Mike co-wrote and directed the show "The Flower, The Flag," which resulted in a recording and a special performance on the White House Lawn in honor of the nation’s Bi-Centennial Celebration. 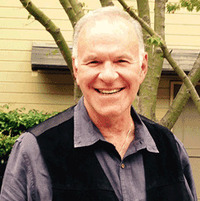 In addition to his music career, Mike is a retired public school teacher, and resides with his wife in the San Francisco Bay Area. To ask Mike Mirabella questions, please sign up. Mike Mirabella I write and write, to get the dead wood dealt with, and when I finally say something I can use, I save it. Mike Mirabella It has opened a whole new groups of 'friends' to talk with. I have been visiting Barnes&Noble stores, reading and singing to young children. Lots of fun getting dressed up in costume as an old 17th Centery sailor and playing the part. Just came back from Dallas B&N store in Preston, and signing my book, On The Luck Of An Irish Sailor in the B&N stores in the San Francisco Bay Area.